You can now train at Aikido’Ka 7 days a week! I am delighted to announce our Friday evening aikido class. 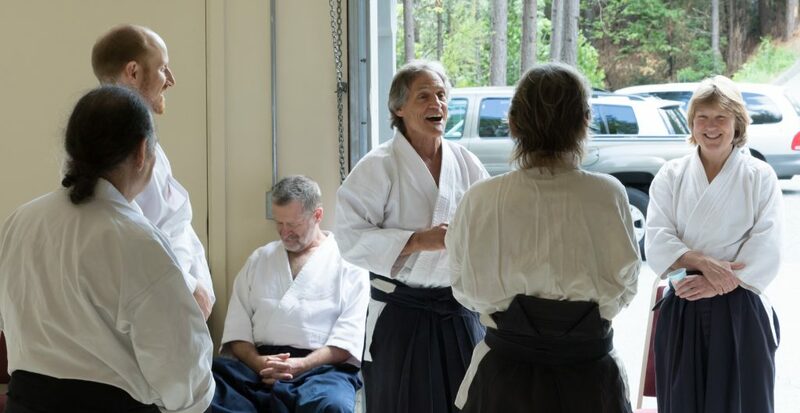 Not too many months ago, Molly and Jeramy Hale moved to Nevada County and joined Aikido’Ka. Yea! In case you don’t already know this, Molly and Jeramy are long time students of Frank Doran Shihan. They both hold the rank of yondan (4th degree black belt). They are absolutely delightful people, terrific aikidoists, and wonderful teachers. They’re now going to be trading off teaching class on Friday nights from 5:30 – 7:00 pm. For now, I think Jeramy is going to teach 2 Fridays in a row, then Molly will teach one, and then back to Jeramy. That will probably change. When/if that schedule changes, I’ll let you know. Be sure to attend our new Friday night class! At Aiki Summer Retreat, we had a fair number of instructors. Each day, we had our featured instructors, Senseis Michael Friedl, Kimberly Richardson, Danielle Smith and Craig Fife. 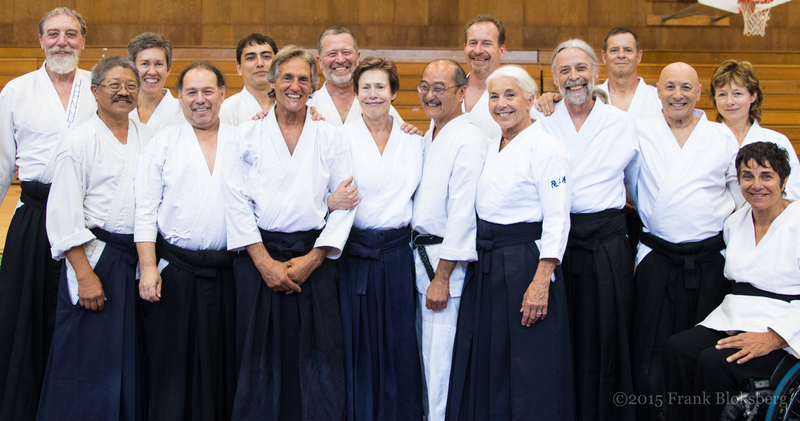 We also had instructors for our 7 – 8 am classes — Senseis Forrest Kan, Johnny Newsome, Chuck Hauk, Calvin Koshiyama, and Darrel Berlie. These senior instructors taught and mentored along with Frank Bloksberg (me), Michele Simone, Mark Zwagerman, Erik Haag, Jeramy Hale, Molly Molly Sacco Hale, Sara G Snell, and Mark Kruger. 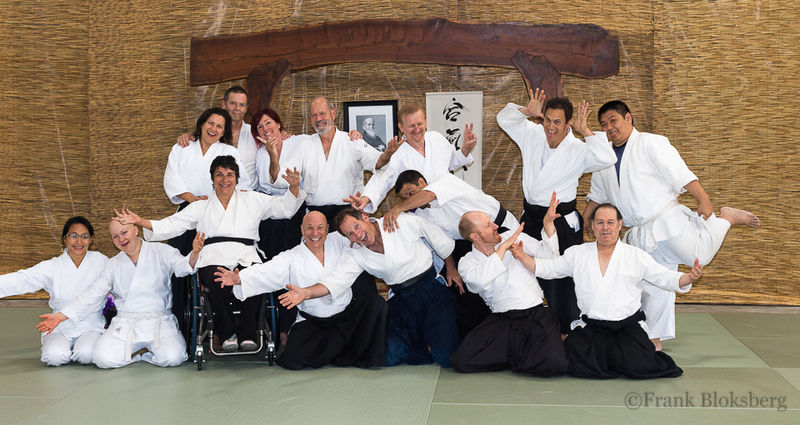 Here are a couple of group photos from Molly and Jeramy Hale’s seminar at Aikido & Healing Arts Center of Roseville. The seminar was May 17, 2015. We had a great time. Click on the pictures below to see them full size. 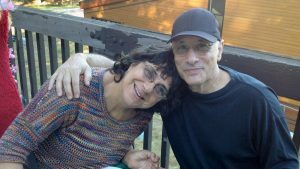 Don't miss your opportunity to train with Molly and Jeramy at Aiki Summer Retreat, June 21-27, 2015! Don't miss your opportunity to train with Molly and Jeramy at Aiki Summer Retreat, June 21-27, 2015! Click here for more information.